I am a dental nurse and a lecturer in biomedical sciences. My key roles are to lead the development of the life science curriculum in our innovative BSc Dental Therapy & Hygiene programme, specifically focused on inter-professional education, and to lead research activities in both education and scientific fields. 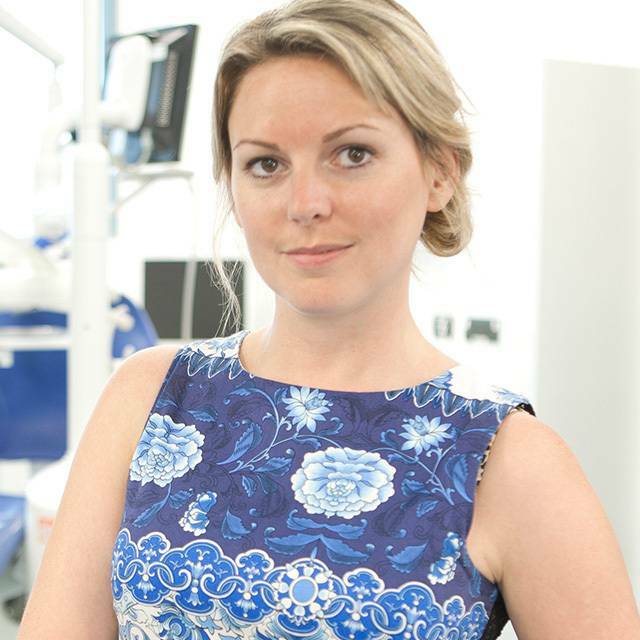 I first became involved with Dentistry when I began working as a dental nurse in 2001, spending 3 years in general practice, followed by 4 years working as a locum in dental specialties at South Devon Healthcare NHS Foundation Trust. I have always been fascinated by how bacteria in the mouth can exert effects in other sites in the body, and so both my undergraduate dissertation and my PhD focused on the role of one particular bacterium, Porphyromonas gingivalis, in modulating the host immune response. I continue to study the role of this particular bacterium in oral and systemic diseases as part of our Oral Microbiome Research group at Peninsula Dental School. 2013 - PhD "Interactions between pathogenic bacteria and macrophages in oral pathology"
Biomedical Sciences including immunology, cell biology, cell signalling and microbiology. Dental nursing including infection control, decontamination and antimicrobial resistance. Inter-professional education for undergraduate dental professions. Lecturer: Bachelor of Dental Surgery, BSc (hons) Biomedical Sciences, BSc (hons) Nutrition, Bachelor of Medicine, Bachelor of Surgery. Curriculum development (Science): Developing the UKs first, fully integrated DTH/BDS programme. Current research focuses on both scientific and educational elements required for excellence in research informed teaching. My major research interests lie in how oral bacteria can modulate the normal function of the immune system and drive conditions that lead to development of oral and systemic diseases, such as chronic periodontitis, oral cancer, and hypertension. Zahra D, Belfield LA. Mcilwaine C, Bennett, J & Zaric S. the benefits of integrating dental and dental therapy & hygiene students in Undergraduate Curricula. European Journal of Dental Education. 2018. Strachan A, Harrington Z, McIlwaine C, Jerreat M, Belfield LA, Kilar A, et al. Subgingival lipid A profile and endotoxin activity in periodontal health and disease. Clinical Oral Investigations. 2018. Belfield LA, Bennett JH, Abate W, Jackson SJExposure to Porphyromonas gingivalis LPS during macrophage polarisation leads to diminished inflammatory cytokine production. Arch. Oral. Biol. 2017 Sep;81:41-47. Merry R, Belfield L, McArdle P, McLennan A, Crean S, Foey A. Oral health and pathology: a macrophage account.Br J Oral Maxillofac Surg. 2012 Jan;50(1):2-7.